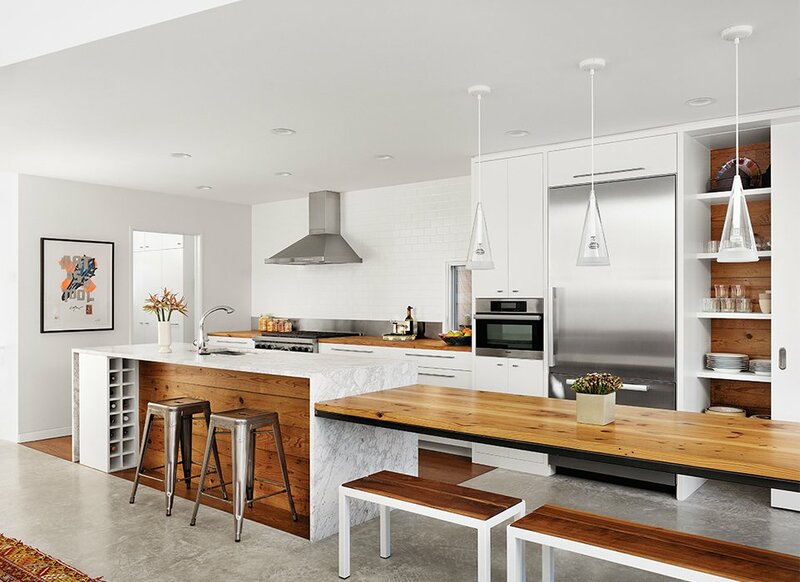 Architect Kevin Alter integrated wood from the original bungalow into the kitchen and covered the island in Carrara marble, with an interior clad in wood. A long table extends from the side of the island, and wine storage is integrated into one end of the island. New appliances include a Wolf range, a Broan hood, and a Miele oven and refrigerator. The Fucsia pendant lights are by Achille Castiglioni for Flos.